A stunning large pink rose plant presented in a white wicker basket. This is a gorgeous gift to send with a personalised message. 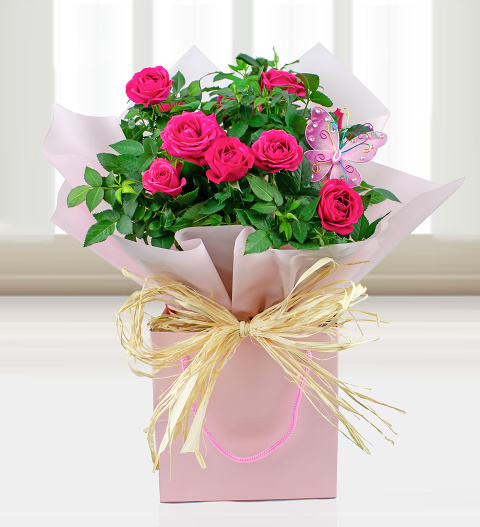 Whether for a birthday or just to enjoy in your garden, we will beautifully gift wrap the plant and send it complete with a FREE box of chocolates. Chocolates may contain nuts.